You are here: Home / Equitable Distribution / What is a QDRO and Why Do I Need One? When spouses are divorcing, they usually go through a process of property and debt division called equitable distribution. During this process, retirement accounts are often one of the larger assets divided between spouses. Depending on the type of retirement accounts each spouse may own, a Qualified Domestic Relations Order (QDRO) may be necessary to divvy up the money. A QDRO (pronounced cue-dro or qua-dro) is a court order specifically designed to transfer to a current or former spouse the right to a portion of the other spouse’s retirement account. While QDROs are most often used in equitable distribution cases, they can also be used to collect money in a spousal support or child support case. Below is some basic information about QDROs and the process for obtaining one. As a general rule, you are not permitted to remove money from your retirement accounts on a tax-free basis. A QDRO is a legal order that allows benefits to be transferred tax free from one spouse’s retirement account to an account designated by the other spouse. This process is not automatic and requires court approval, even in situations where you and your spouse agree to divide the money. A QDRO is required for division of all retirement accounts covered under the Employee Retirement Income Security Act (ERISA). • Federal or State civil service plans. You should speak with your attorney to find out what type of retirement division document is necessary in your case. It is also helpful to discuss who will draft the document and how much it will cost to have it drafted. Typically, the spouse receiving the benefit is responsible for incurring the cost of drafting the QDRO and its subsequent entry as an order of the court. • Plan Participant: The owner of the retirement account. • Alternate Payee: The person receiving a right to all or a portion of the retirement account through the QDRO. The alternate payee is most commonly the other spouse, but can also be a child of the plan participant or other dependent. What are the Requirements for a QDRO? • The name of each plan to which the order applies. • Require a plan to pay benefits to an alternate payee that are required to be paid to another alternate payee under another order previously determined to be a QDRO. Once a judge has signed the QDRO and it has been entered as a formal court order, the Plan Administrator remains the ultimate decider as to whether the requirements have been satisfied to initiate the transfer of money. Below is the most effective process to ensure the QDRO is approved by the plan administrator the first time it is submitted. • Speak with the Plan Administrator: After you hire your attorney, he or she should determine if any of the marital retirement accounts are subject to ERISA. If so, your attorney should contact the plan administrator as soon as possible for a copy of the plan summary. The plan summary will describe in detail the rules governing the individual plan. If it is your plan, you can save some money and assist the attorney by requesting a copy of the plan summary yourself and providing it to your attorney. In addition to requesting a copy of the plan summary, your attorney should ask for a sample order. QDROs are very technical documents and Plan Administrators often deny approval of QDROs over the tiniest of irregularities. For this reason, plans sometimes provide a model or sample order for attorneys. Using the pre-approved template increases the likelihood the QDRO will be approved the first time it is submitted to the Plan Administrator. Lastly, to increase the likelihood the QDRO will be approved the first time it is submitted, Plan Administrators sometimes allow a draft to be submitted for pre-approval. If pre-approved, it is almost a guarantee the QDRO will be implemented by the Plan Administrator. 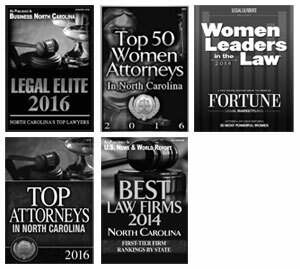 • Judge Signs the Order: In accordance with North Carolina domestic law, the QDRO must be entered as an order by a judge before it can be submitted to the Plan Administrator for implementation (i.e., the actual transfer, or “rollover,” of retirement funds). 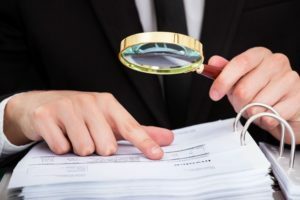 While a judge can determine the order is “qualified” under ERISA, the Plan Administrator has final say over whether it is acceptable under the plan. • Plan Administrator Approves the Order: If the order complies with the requirements of ERISA and the plan summary, it should be approved by the plan administrator and the benefits should be distributed in accordance with the QDRO. The entire process of dividing marital retirement pursuant to a QDRO takes an average of two to four months to complete. However, there is no set turnaround time for the judge to sign the order or for the plan administrator to approve (or pre-approve) the order. In addition, while the division of retirement funds between spouses is a tax-free transfer if the funds are rolled into an account designated by the spouse who is receiving the funds, in most cases the funds will be subject to income taxes (and often a penalty) if they are later withdrawn. The tax consequences related to retirement division are important to know and you should always speak with an attorney regarding your options. If you have separated from your spouse, or are planning to, you need a knowledgeable family law attorney on your side. Contact our office to receive comprehensive and caring legal advice today!